A REVIEW OF the ambulance service provided in the Dublin region is to come under scrutiny in a joint review by the HSE and Dublin City Council. The size of the fleet will be assessed, as well as factors such as compliance with national quality standards, the cost of the current service provision, and how emergency calls are handled. The review could potentially result in a change to the current model of service provision. It is currently provided by both the HSE’s National Ambulance Service and the Dublin Fire Brigade’s Emergency Ambulance Service. The review, expected to completed by May of this year, will be carried out by Derek Brady, former Deputy City Manager at Dublin City Council, and Martin Flaherty OBE. Flaherty is currently the Managing Director of the Association of UK Ambulance Chief Executives, based in London. Email “Cost, quality and scale of ambulance services in Dublin to be reviewed”. 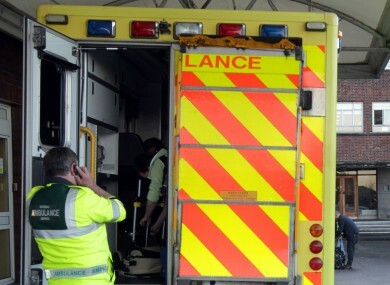 Feedback on “Cost, quality and scale of ambulance services in Dublin to be reviewed”.